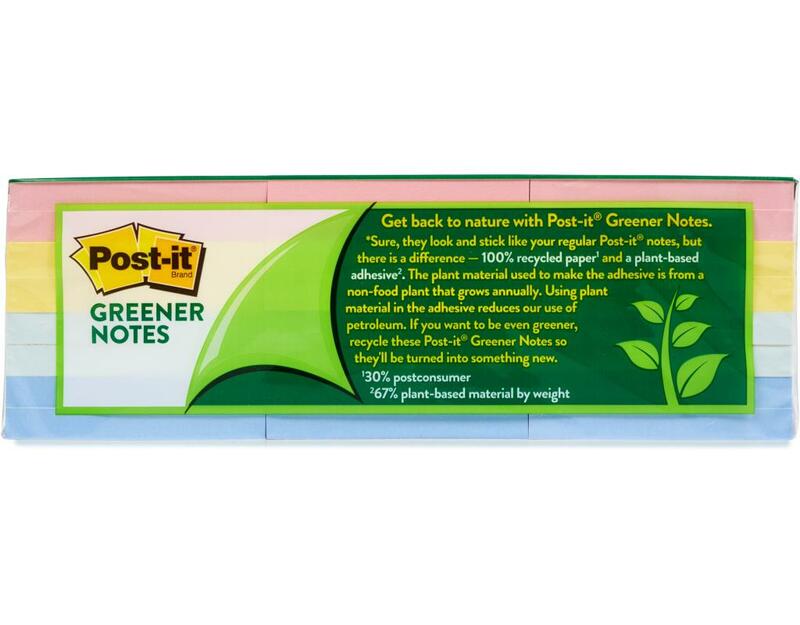 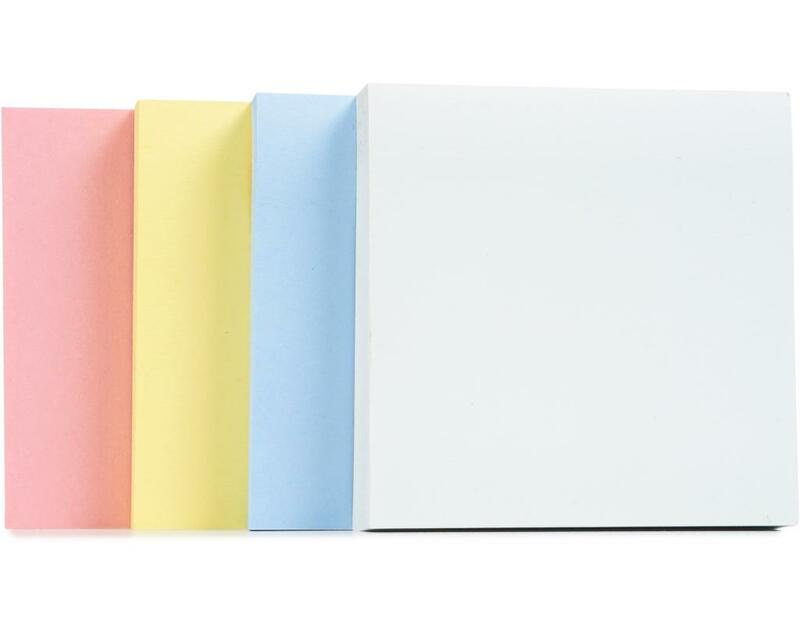 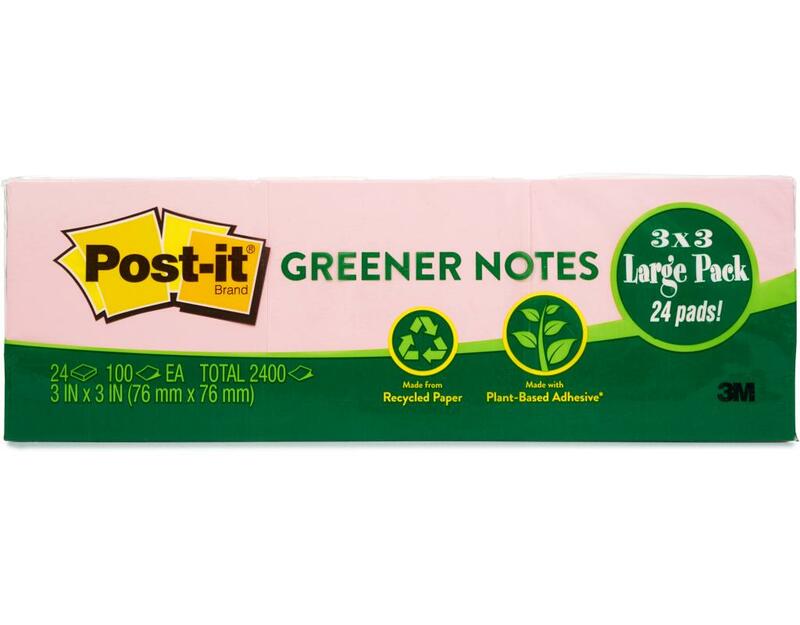 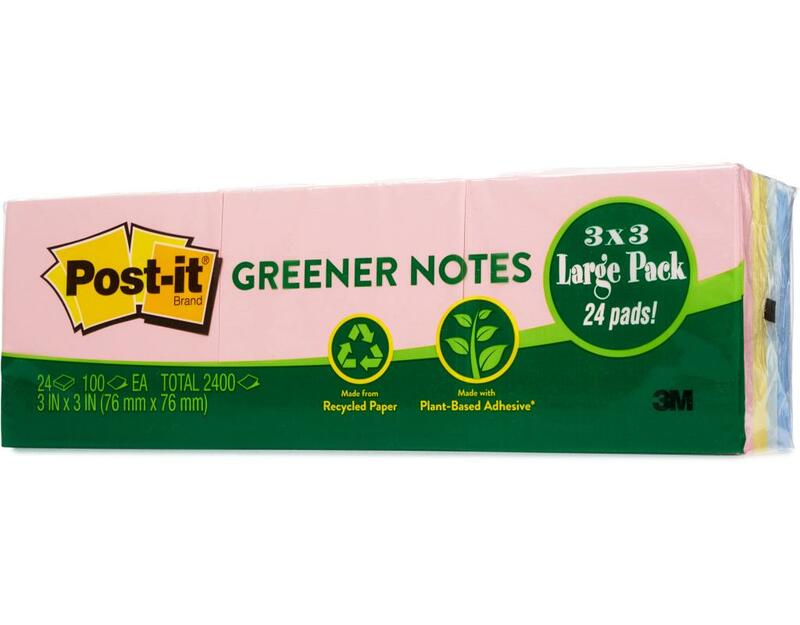 Your favorite notes, made from 100 percent recycled paper, now come with a greener, plant-based adhesive, which is made from plants that are replenished after harvesting. And like all Post-it Notes, they’re recyclable. 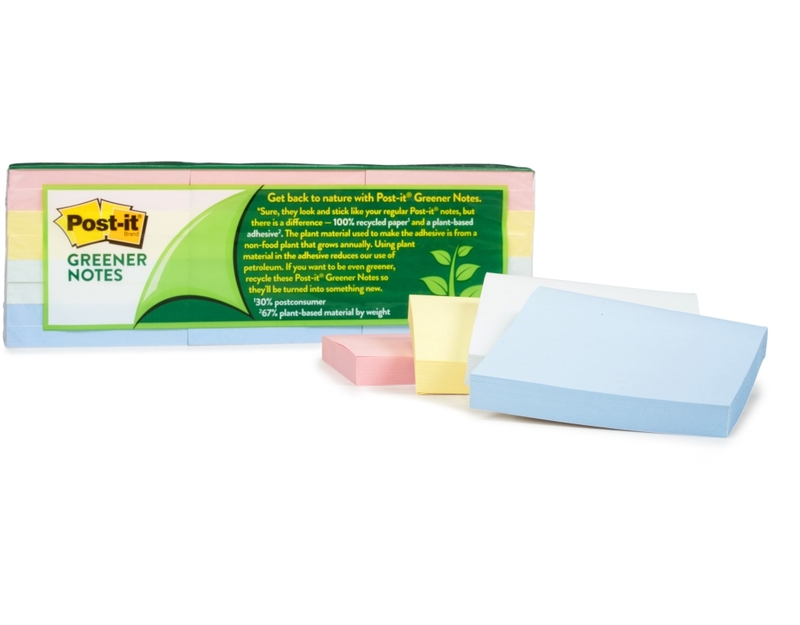 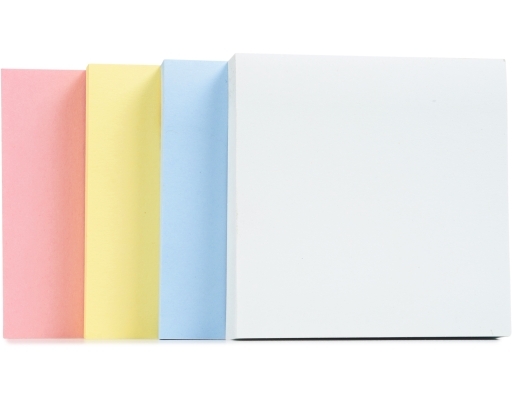 When you use Post-it Greener Notes, you’re happy and the planet’s happy! 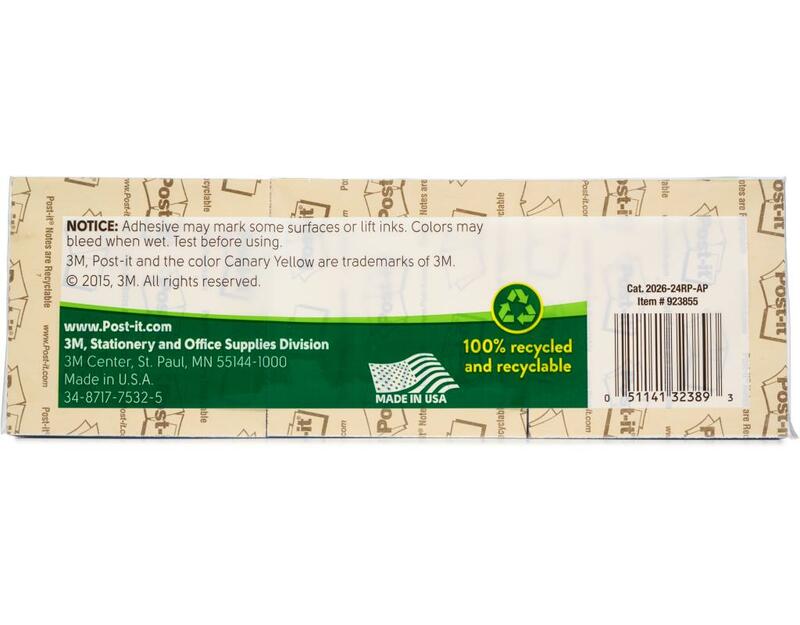 Through efforts like its "3P" (Pollution Protection Pays) Program and products designed to have less impact on the environment, 3M has led the industry for more than 30 years with its commitment to environmental stewardship. 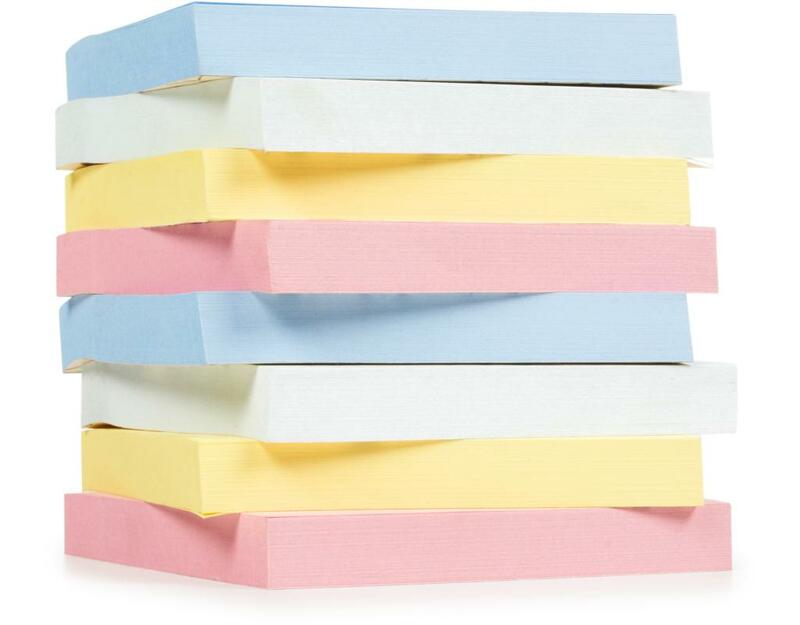 • All Post-it Notes are SFI Chain of Custody Certified. 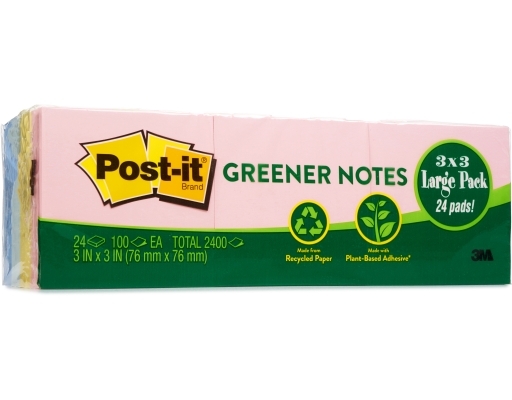 Paper comes from well-managed forests, where trees are replanted.